Panasonic, mainly known for consumer electronics and appliances, has delved into the aircraft business with a futuristic business-class plane seat. The Waterfront plane seat has been featured during CES 2016 which garnered some attention. Named as Waterfront, this plane seat is designed to give the passenger the most convenient and comfortable trip through the skies. The Waterfront plane seat was designed by Panasonic along with TEAGUE and Formation Design Group. 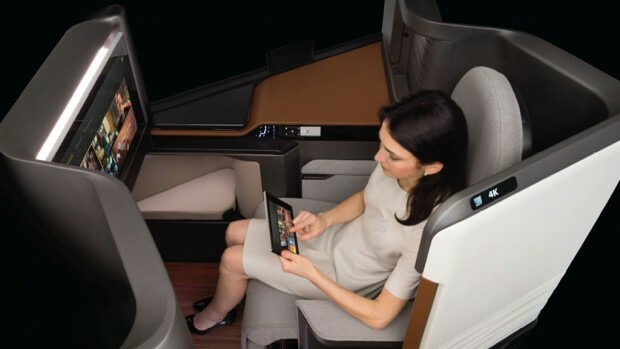 Panasonic has taken notes from their Jazz plane seat for the economy class last year. From the data gathered, they were able to make the back and bottom cushions as comfortable as cushions can be. The cushions also have temperature control which can be adjusted by the passenger. Along with super comfy cushions, there’s also a 24-inch 4K screen for watching anything available in high definition. A wireless charging area is also available for your devices and a cover to be able to use it as an arm rest. The seat can also recline up to a flat surface for the passenger to lie down comfortably. Panasonic has really placed some thought into designing the best plane seat money can buy. With all these features in the Waterfront plane seat, what do you think can still be added for maximum comfort?